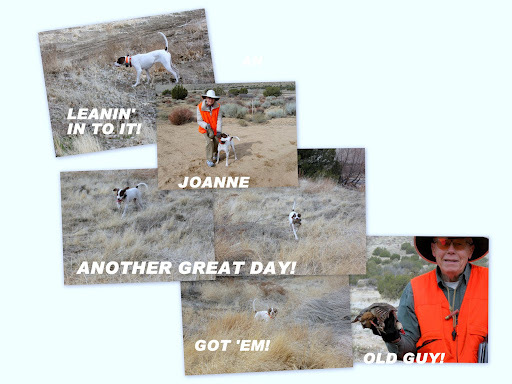 This Time It Was Chukar Day with Joanne Too! Not much to say except it was a stellar day: great weather, best gals, Joanne and Pride in tow, and some fat, sassy chukar in the bushes. This club is a blessing! Wish all our friends could join us there for a day. I know a lot of you are facing closed upland seasons now. From now until about mid-March is the best time for us. Cool, damp weather and great opportunity for dog work. Pride is in top form now. I hope I hold up! A four year old English Pointer is a handful in a small house with no yard. I will try to get her out shooting at least once a week for the next month and a half. Previous Post >The Latter Days…Now on to the Crazies!